For many women, there seems to be little effective natural relief for heavy menstrual flows, lower abdominal pain associated with PMS, or during the menstrual cycle, and more serious gynecological concerns such as endometriosis and fibroids. Some women undergo unnecessary surgery to resolve common gynecological issues. Many women also take over-the-counter allopathic drugs. For those looking for an all-natural supplement for female health, GyneAssure™ is a Traditional Chinese Medicine (TCM) comprised of five all-natural herbs. Gui Zhi Fu Ling Tang has been used for centuries to help alleviate discomfort from uterine or menstruation problems. Over time, Gui Zhi Fu Ling Tang can internally correct conditions which are the root cause for heavy menstrual flow and other disorders. This TCM remedy for women’s health is safe. 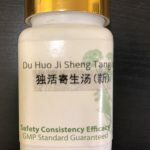 It won’t work immediately; it’s recommended that you take Gui Zhi Fu Ling Pian for a minimum of four weeks before assessing if your condition has improved. Some people experience a noticeable positive outcome(s) within a short time of taking Gui Zhi Fu Ling Pian (see reviews below). Although this Chinese medicine has been used mostly for women, it can be used for men as well, to promote blood circulation. 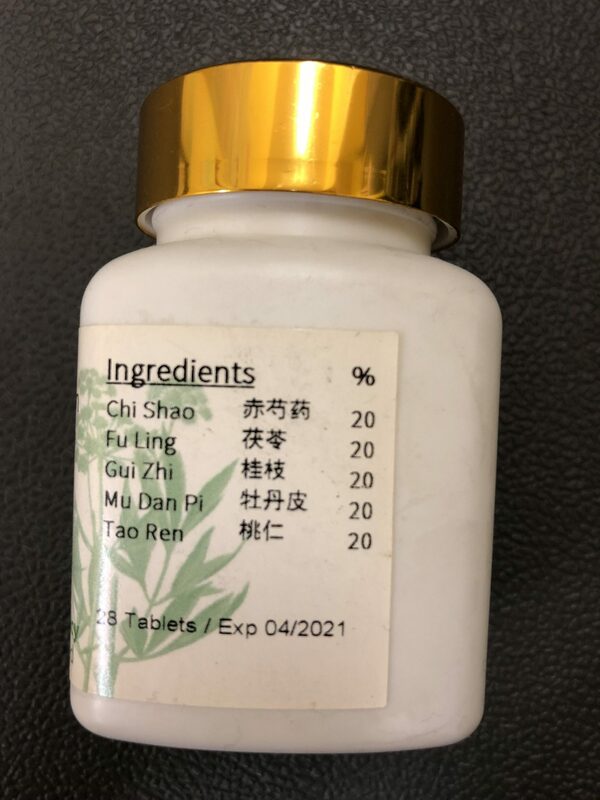 In fact, some Chinese herbal doctors regard Gui Zhi Fu Ling Tang as the most powerful herbal formula that removes Blood stasis. 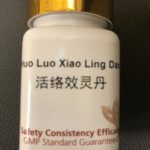 How Does Gui Zhi Fu Ling Wan Work? 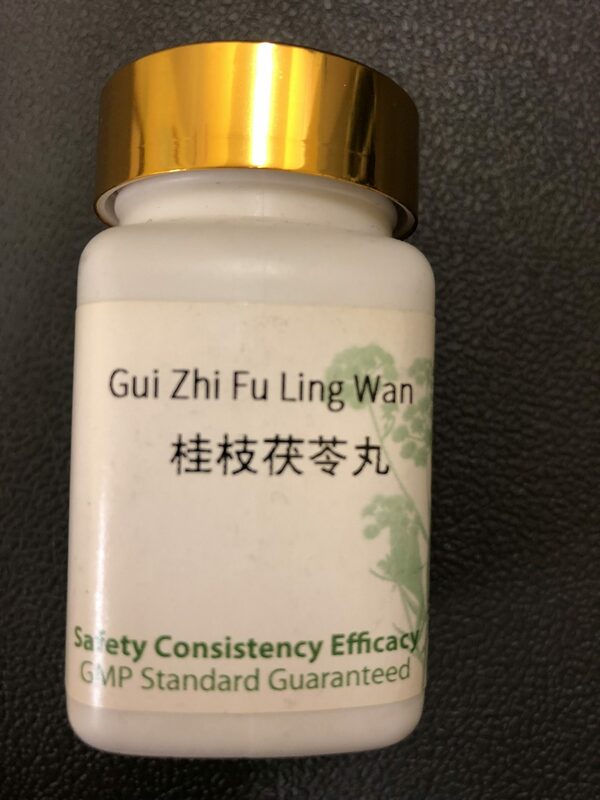 The five all-natural herbs in Gui Zhi Fu Ling Pian work synergistically to promote blood circulation, and to remove Blood stasis. The first herb in this formula (the formula’s namesake), Gui Zhi (Cinnamon twig), is warm in nature. It warms Yang energy, warms and unblocks the channels. It also promotes sweating and relaxes muscles. Fu Ling(Poria) is the second major herb appearing in the formula name. It strengthens the Spleen and leaches out dampness. Together the two herbs set the foundation to move Blood and remove stasis. Tao Ren (Peach kernel) strongly invigorates the blood and dispels blood stasis. It also moistens the intestines and moves the bowels. Mu Dan Pi (Tree Peony bark) clears heat and cools the blood. It also invigorates the blood and dispels blood stasis. Bad Shao (Peony root) harmonizes the Liver, regulates menstruation, and relieves pain.